Worldwide statistics indicate that 55%-75% of all playground injuries result from falls onto non-compliant compacted surfaces from adjacent play structures. The purpose of the protective safety surfacing is to reduce the number of injuries over-all and to protect children from life-threatening or debilitating injuries. Hutcheson CSA Compliant Granite Playground Sand is an exceptional protective safety surfacing material created with the safety of children in mind. It is our goal to provide all customers with an economical protective surfacing material that continues to meet or exceed CSA standards and has excellent play value for kids of every age. 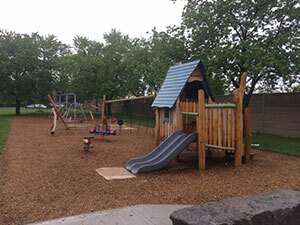 Hutcheson’s Canadian Standards Association (CSA) Compliant Granite Playground Sand is tested in accordance with ASTM F355, ASTM F1292, CAN/CSA Z614 specifications. Surface impact attenuation tests have been performed by independent consultants for ten years since initial installation and our Granite Playground Sand has continued to meet or exceed the CSA standards in dry, wet or frozen environmental conditions, without requiring rototilling. 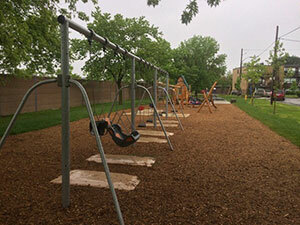 In December 2009, The Hospital for Sick Kids, Toronto, published the results of a multiyear study titled, “School Playground Surfacing And Arm Fractures In Children: A Cluster Randomized Trial Comparing Sand to Wood Chip Surfaces” *. 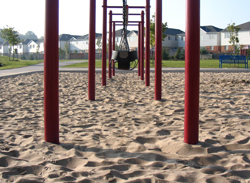 The findings of this real-world study indicated that granite sand surfaces substantially reduce the risk of arm fractures and other injuries caused by falls from playground equipment when compared with wood fiber surfaces. 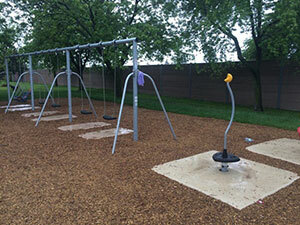 Subsequently, in the fall of 2010, independent surface impact tests were performed on two playgrounds that have had Hutcheson’s protective surfacing product installed for 10 years and have never been rototilled. These tests indicated that our granitic sand retained its CSA Compliance despite the lack of maintenance over ten years, even when the drop height of the load cell significantly exceeded the fall height of the play equipment.